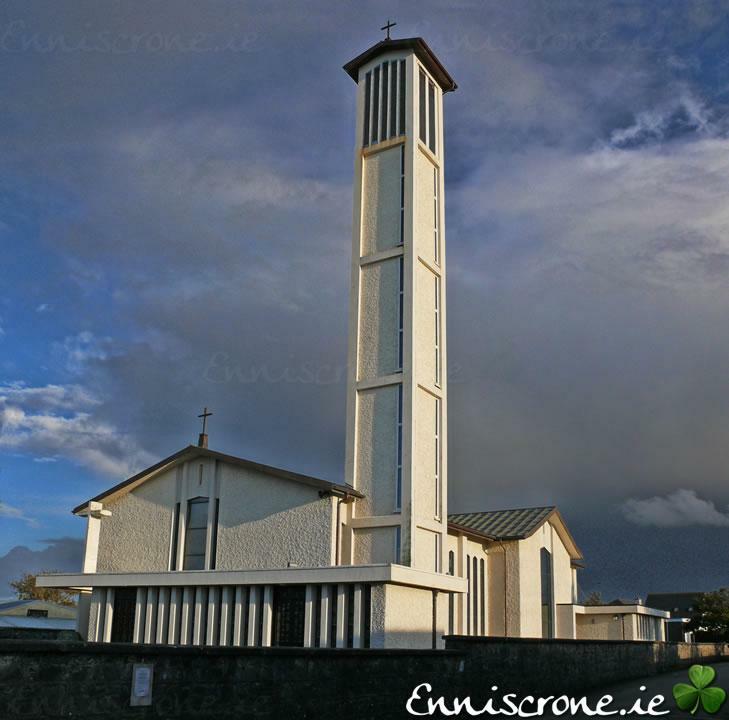 Church of the Assumption - Enniscrone had no curate until 1863 when the population of the town had grown larger. Before 1863, the area was served by the P.O. in Kilglass. The church (beside the present Benbulben Hotel) was built in 1892. It was a schoolhouse, which was enlarged and turned into a church. It continued in use until the present church was built in 1965. The church was designed by the Dublin architect Simon Aloysius Leonard (1903-1976).